This October activpayroll celebrate 14 years of successful business with the launch of new company website. 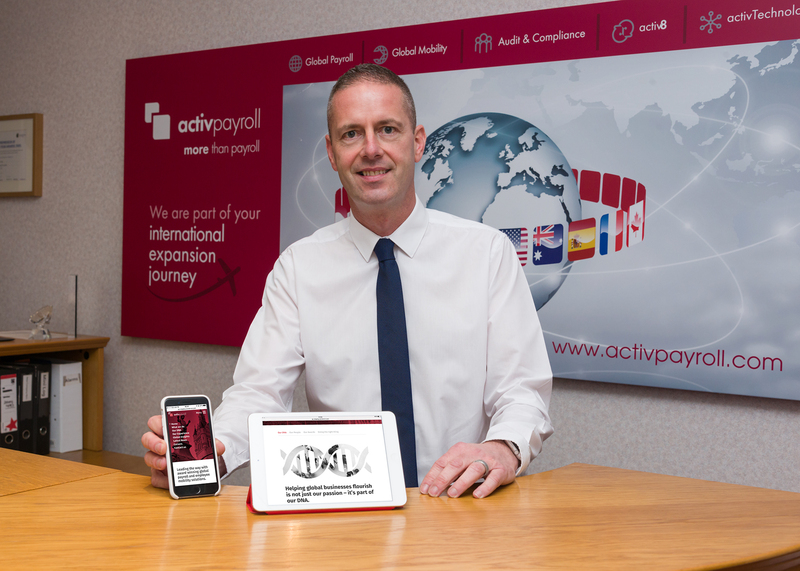 activpayroll, the global payroll and employee mobility solutions expert headquartered in Aberdeen, is celebrating its 14th year in business this October with a completely new digital presence. Over the past 14 years, the firm has experienced constant growth, from servicing small local companies to some of the world’s leading brands, and has now reached the stage of delivering payroll services in over 120 countries worldwide. In order to parallel activpayroll’s global reach and advanced technology solutions, the firm has just launched its new mobile-device friendly website which accurately presents the brand’s ambitions, provides a user-friendly experience and responsive design. The new website was part of a wider online rebrand exercise that has seen activpayroll’s social media channels, newsletter, templates and communications evolve. Throughout 2015, the firm has won a number of contracts including two leading UK high street chains which are expanding internationally. Existing clients are also choosing to remain with activpayroll, this is exemplified by client retention figures which are just over 99.66%. As more companies are outsourcing their global payroll to gain greater efficiency and improved compliance, activpayroll has grown its Global Project Management capabilities and increased the Edinburgh office space on four separate occasions this year. Following recent international office openings in Paris, Stavanger and Ontario; the Singapore office, launched in October 2013, also increased its staff by 200%. activpayroll’s UK workforce numbers have risen by 15% in the past four months and the company is constantly looking for talented people to join the team. The key objective of providing training and career progression opportunities to its employees was also achieved by launching the first ever in-house payroll academy in Scotland in collaboration with the CIPP (Chartered Institute of Payroll Professionals). Alison Sellar, CEO of activpayroll, commented: “The past 14 years have been extremely successful for us as a business. The fact that a number of global brands, seeking a single point of contact for their global payroll and tax needs, are asking us to support their entire global operations is a clear sign that our formula for success is working. Our international offices are growing organically at a great pace and our team members are increasingly becoming more knowledgeable and experienced as we progress. Providing genuine opportunities for career development has always been at the forefront of our operations, hence the launch of our very own in-house payroll academy is a great achievement.